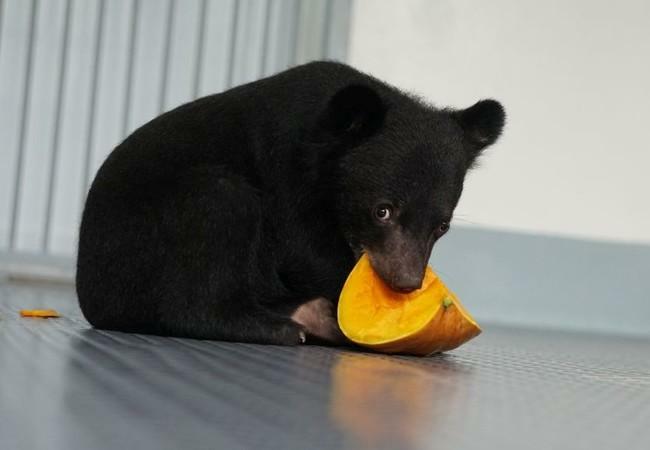 Vietnamese authorities confiscated two Asiatic black bears in the Hai Phong province on 9th January 2019. 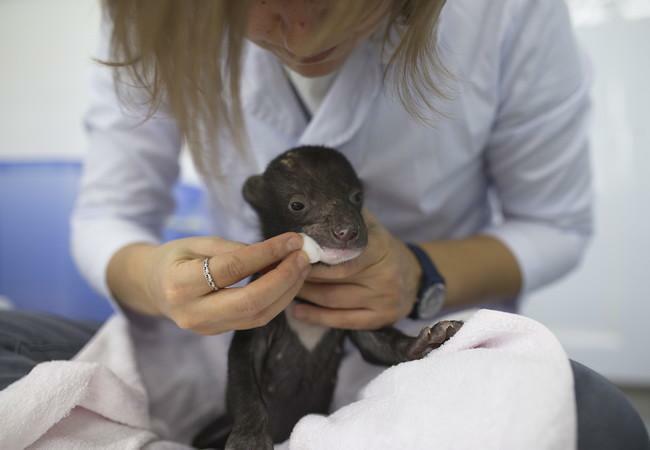 The female bear cubs, only a few weeks old, fell victim to wildlife smugglers. 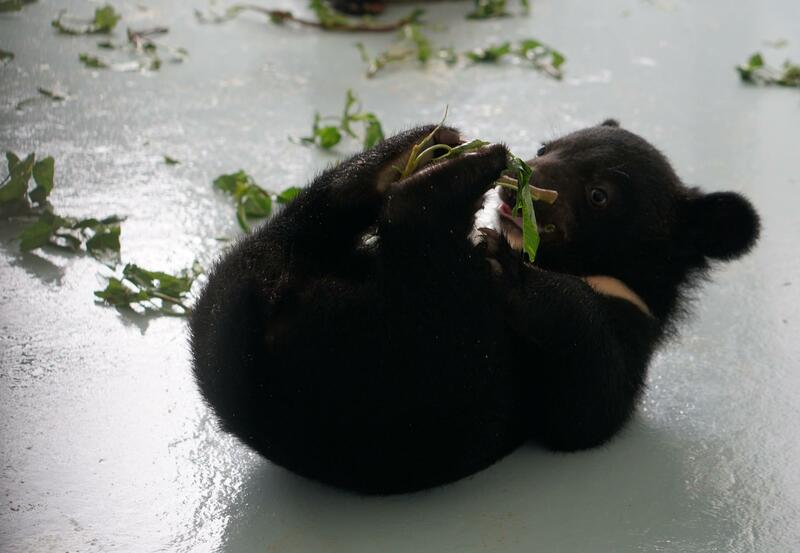 We have taken the two bears into our care at BEAR SANCTUARY Ninh Binh where they will receive intensive medical care. "The bears are still very young, and the situation is critical, but we will do everything we can for their survival. 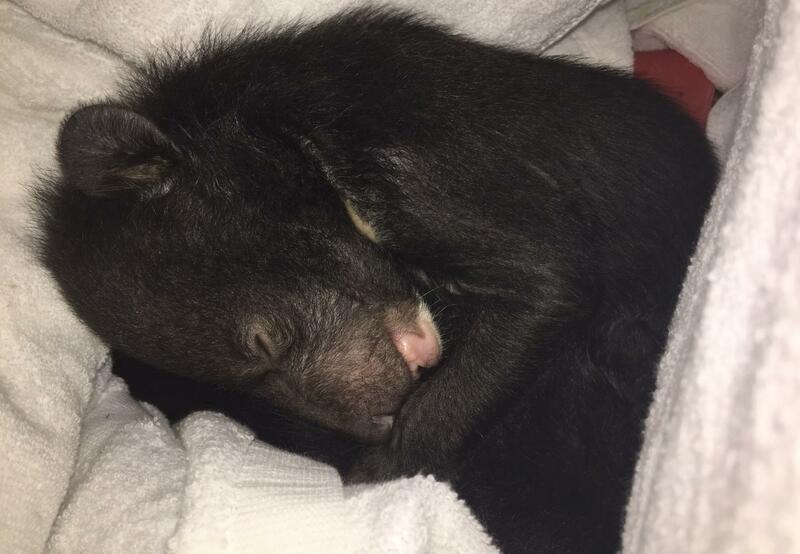 The bear cubs were dehydrated when we took them over. Our team of veterinarians currently provides them with milk added with vitamins and probiotics. 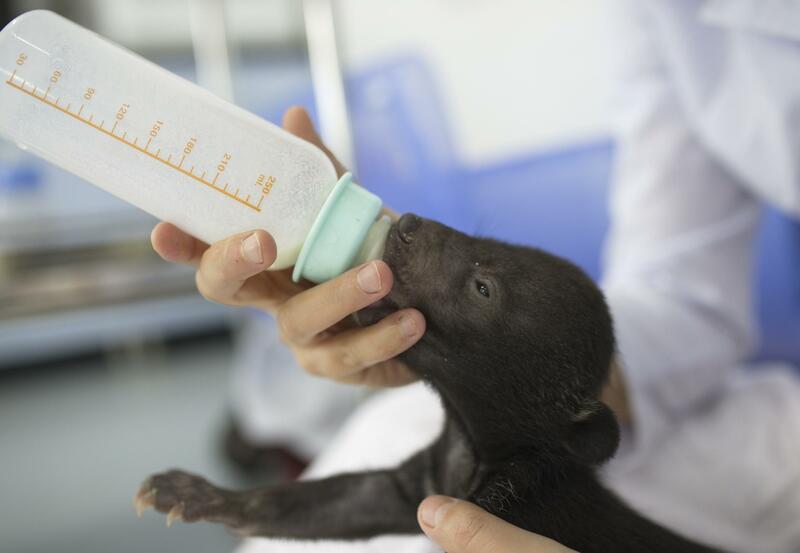 Although the bears only weigh 900 grams, both are quite strong and drink enough of the milk,"
Mi and Tam are cared for around the clock by two bear keepers and fed with special puppy milk every 3 hours. 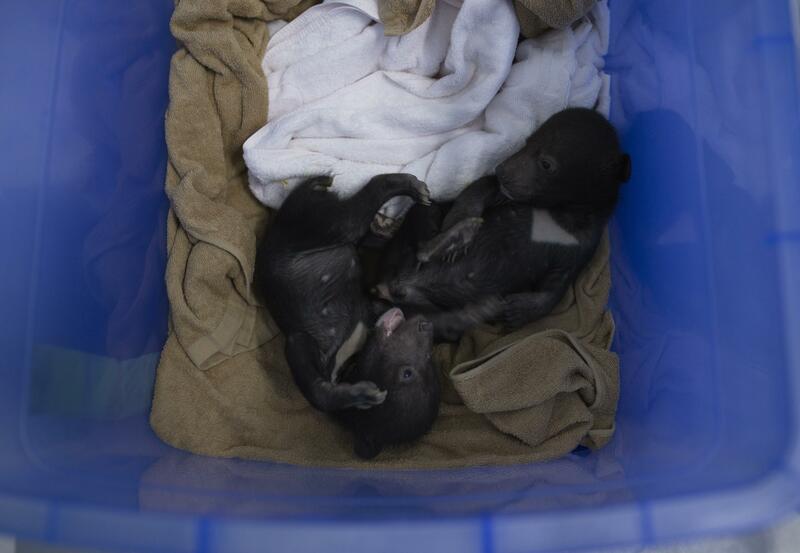 After each feeding, the two take long naps in their soft, towel-lined and heated box in our darkened clinic. 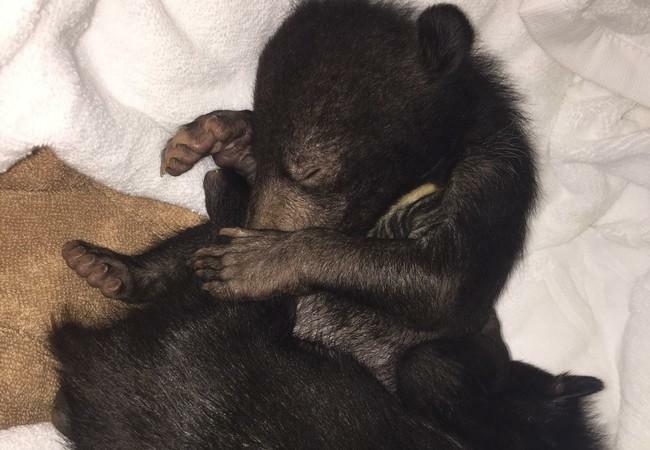 There is no trace of the mother and the origin of the two cubs has not yet been determined. 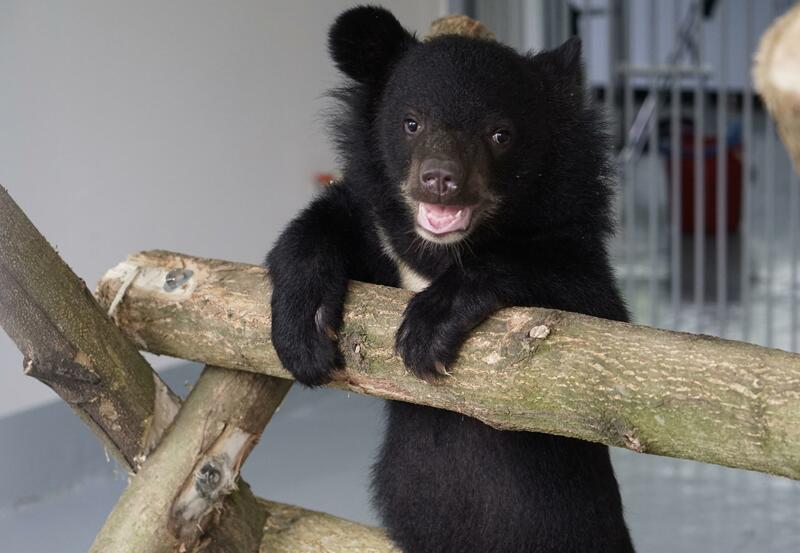 However, there is a high possibility that the bears were imported from Laos or came directly from bear farms in Vietnam. Details to the planned trade are currently unknown. Since it is not possible to release the bears into the wild, the animals remain in the species-appropriate bear sanctuary in Ninh Binh. We were really worried about the health status of Mi. After their rescue, we noticed that Mi is the smaller and weaker cub. We also noticed that Mi was having difficulty to coordinate her movements, while Tam was already able to stand normally. The FOUR PAWS Viet vet team together with external neurologists were trying to improve her condition through veterinary support and physiotherapy. She was responding well to the treatment and her coordination difficulties were mild. Fortunately, Mi gained weight, grew and became incredibly active over time, which are positive signs for her development.